Frank Carter teams up with THE RATTLESNAKES for an EP and a tour! » IDIOTEQ.COM Frank Carter teams up with THE RATTLESNAKES! 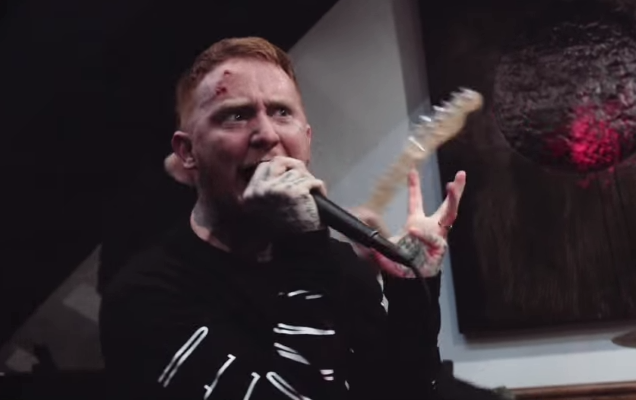 Frank Carter teams up with THE RATTLESNAKES for an EP and a tour! 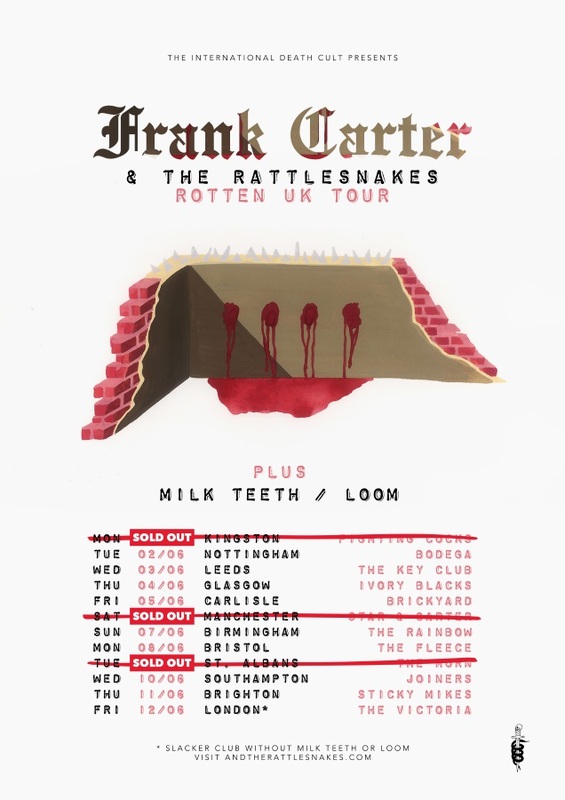 Frank Carter and THE RATTLESNAKES will be touring the UK in June in support of their first official release the called “Rotten” EP. It’s 3 songs that nicely sum up the new band, announced via the official message below. Welcome back, Mr. Frank! Back in January last year, my old band Heights decided it was time to wrap things up. We booked ourselves one last tour for September 2014 and went out with some of the best shows we’d ever played. It was a bitter sweet time for me, I played a large part in instigating the end of the band – and at the time I was sure of one thing, I wouldn’t be playing heavy music again. But the tour was great and I knew I was going to miss the energy of that. In the year that passed I wrote a ton of music, mostly with Frank Carter who had at the same time just finished up with Pure Love. We’d written together on and off a bunch of times, I nearly joined Pure Love, we even wrote some songs for Will Young at one point. However, despite all the things we did we never quite got up and running for various reasons. I was on holiday for Christmas when Frank called me to say he needed to make music again, and it needed to be angry. I’d spent a year writing and really missed releasing music and shows, but it’d been more like 2 since i’d written something aggressive – still I figured it was worth a shot. The moment we started writing something more in the realms of punk the songs came quicker than we could handle. Fast forward 6 months and we have an EP out, an album recorded, a wild first show in the bag and a tour in June before Reading & Leeds ..
You’re receiving this email because at some point you signed up to a mailing list for Heights, so I wanted to reach out and tell you all about my new band. If you want to unsubscribe then hit the link at the bottom, if you like what you hear then i’d love to see you at a show in June. UNITED BLOOD release new song! TORN SHORE teasing their new recording!